Enjoy the Karitane beach and estuary. 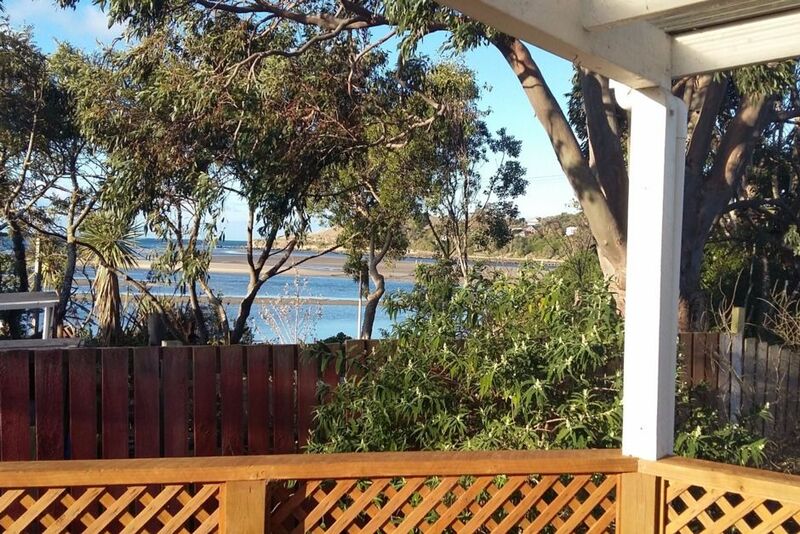 This property is minutes walk from the beach and sits above the estuary. Opposite is the Karitane store which makes awesome coffee. They have general grocery items and takeaways. Plenty of room for children to run around, and fully fenced. Room for a tent if required. Enjoy beautiful peninsula walks, kayak hire available in Karitane and good surfing in the right conditions. Thank you for the fantastic stay, better than we thought it would be. Such a great sunny warm house, with everything you need to enjoy your stay and more. The perfect place to stay in Karitane. The bach had everything we needed and more. The large sunny deck was a great spot to have a drink and look at the view. It was clean and tidy when we arrived. The General Store across the road has great Pizza and really friendly staff. We ordered our Pizza which they said would be about 15 minutes so went back to the bach and just as we were about to go and get them the lady from the General Store arrived with them. Great service. There are some good walks close by and I would certainly not hesitate in booking again. Nice and handy to the beach. Recommend the walk up and around the point. Pizza's from the General Store were delicious. Lovely spot, very peaceful and relaxing. Really enjoyed our stay thanks Sally. Fantastic location in the town, great views of the harbour and a tidy clean property to stay at. Excellent Thanks!